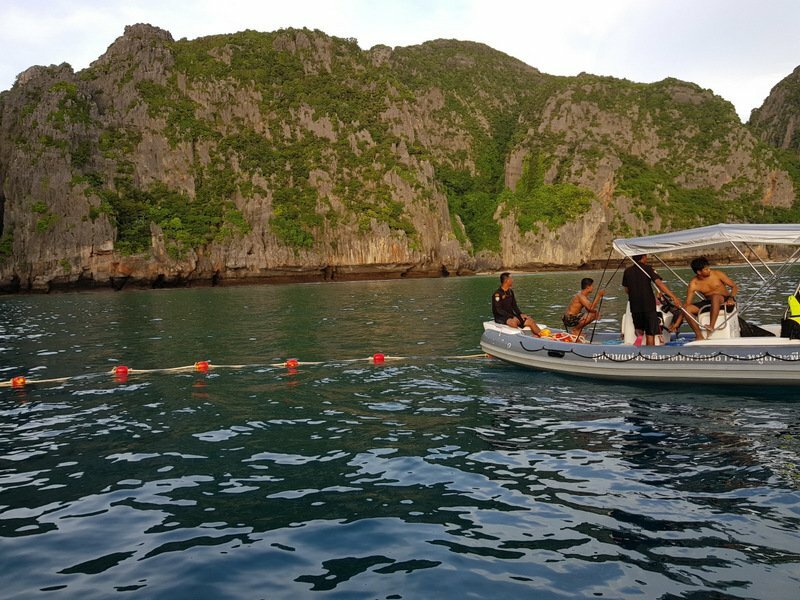 PHUKET: The “zero tolerance” environmental protection measures for world-renowned Maya Bay, with no access for any persons other than national park officers until Oct 1, came into force last Friday (June 1). 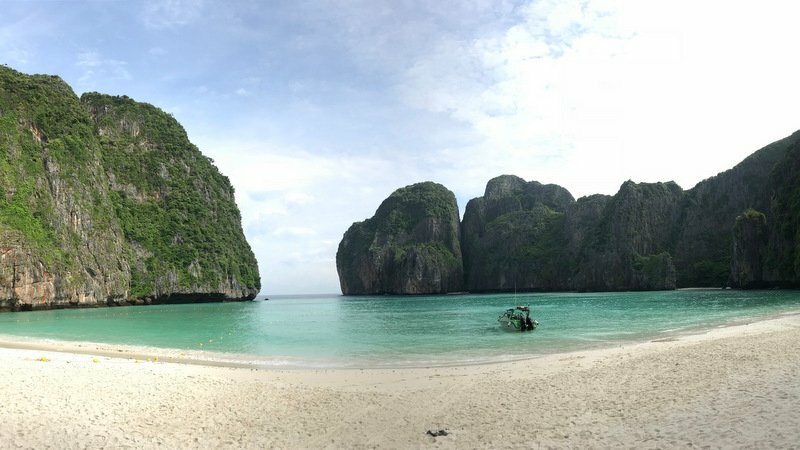 It is strictly no visitors allowed into the bay or even onto the beach during the next four months, Hat Nopparat-Mu Ko Phi Phi National Park Chief Worapoj Lomlim re-confirmed to The Phuket News on Wednesday (June 6). 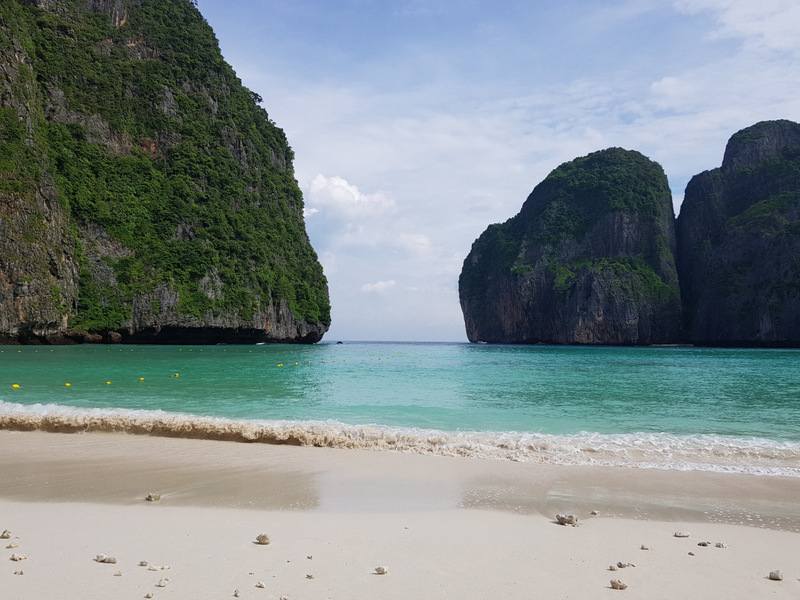 Visitors are not even allowed to land at Loh Samah Bay on the far side of the island and walk along a jungle path to view Maya Bay from a distance of some 400 metres, Mr Worapoj explained. 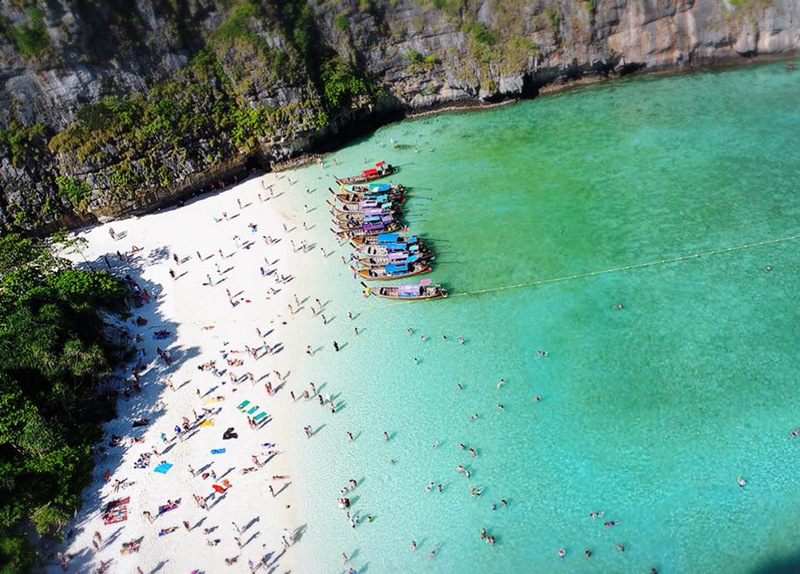 That option will become available after Oct 1, he added, when park officers will aim to limit the number of visitors to Maya Bay to 2,000 persons a day. However, whether or not boats will be allowed to start entering Maya Bay after Oct 1 remains to be seen. “We are still considering our options on that,’ Mr Worapoj said on Wednesday. The four-month reprieve is to allow the marine ecosystem in the bay to recover following increasingly heavy damage to coral reefs by hordes of tourists over the past few years. Mr Worapoj said that coral-restoration efforts in the treasured bay were “already underway”, but provided no details on exactly what was being carried out. Steps to protect corals in nearby Loh Samah Bay are also being taken, with a floating pier to be built to allow tourists to disembark without their tour boats dropping anchor in that bay. The pier is still in the design phase, but will be complete by Oct 1, Mr Worapoj assured. “Right now this floating dock in Loh Samah Bay is in the process of design and construction by a private company,” Mr Worapoj told The Phuket News in an interview last week, while declining to name the company hired to complete the job. “I can’t give specific details of the dock to the public right now, but I can confirm that the floating dock will be built from strong and environmental materials. It will be strong enough to be stable during storms and strong waves and it will definitely not cause any harm to reefs,” he said. “It will take time to build this in the (southwest) monsoon season. It will be finished as quickly as possible,” he added. As for coral-protection measures after Oct 1, Mr Worapoj explained that several areas in the bay had already been roped off with floating buoys and they may well remain in place after the bay is re-opened to tourism. “We are still thinking about what we can do about that,” Mr Worapoj said. Meanwhile, Nonthasak Marine, one of Phuket’s busiest speedboat day tour providers, reported that the bay closure had not affected tour sales. “It has not affected us,” said Sittichai Buaban, Nonthasak Marine’s Sales & Marketing Manager. “We are still selling the same number of tours, but instead of taking tourists to Maya Bay, we take them to Phi Phi Don and other popular sites,” he said. 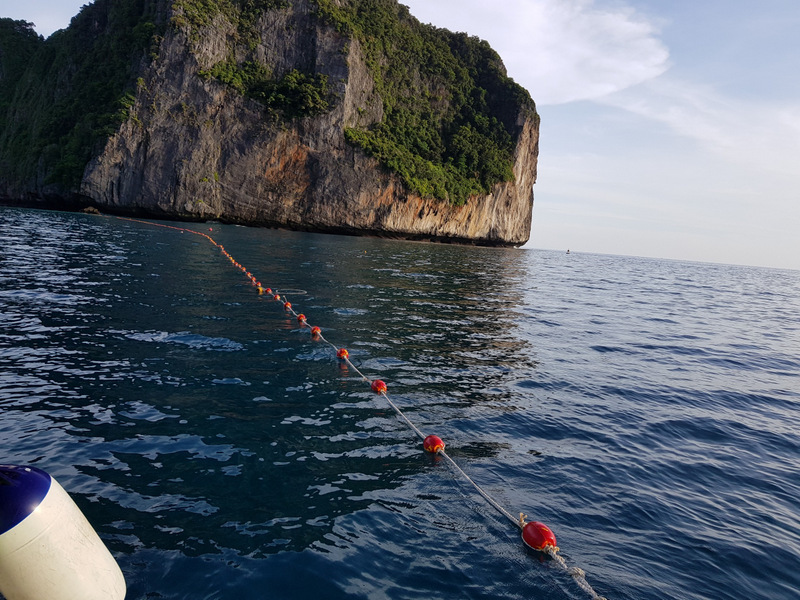 “We actually still take them to the front of Maya Bay where floating buoys have been installed to prevent boats from entering the bay and our tour guides explain to them – and show them – this is as close as you can get for now,” he added. Regarding the e-ticketing system to be launched to administer the 2,000-person-per-day limit after Oct 1, Park Chief Worapoj confirmed that his officers were still working on developing the system. “Right now there is no e-ticket system for anyone to use. Anyone who wants to visit the area can just do it the old way and buy a ticket with a tour company,” Mr Worapoj said last week. “We don’t have an online system for registered tour operators and boat owners. We haven’t got that far yet. Also, I can’t confirm ticket prices or where or how tickets will be available. We need to hold more meetings so we can come to some conclusion about it later,” he added. “Please understand that I very much want to save the environment at Maya Bay and enforce a limit of 2,000 visitors a day there, but making this work is not easy to deal with. We want private businesses and tour companies to help us push this project together,” Mr Worapoj concluded.